mountain bike adventures and mishaps: Sad way to spend Friday evening! Sad way to spend Friday evening! 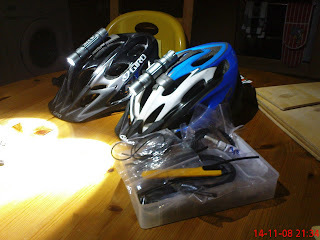 This is the sad way we spent Friday evening, preparing Clive's helmet light for Sunday's early morning ride. 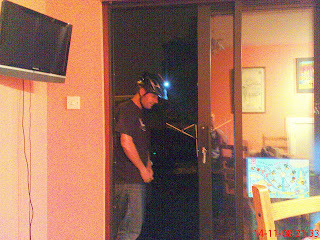 Women just don't seem to appreciate the finer points of helmet light fixing and alingment. The light was then finally secured with some o-rings made up with the trusty o-ring kit, somehow or other we managed not to super glue our fingers together!